The Future is… Knight! 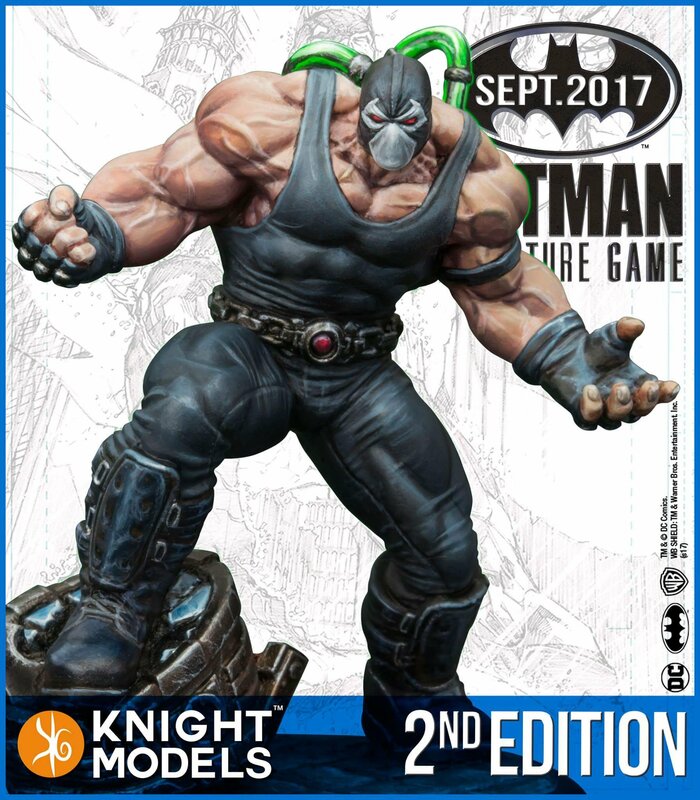 In a season the seems knee deep in revisions and editions Knight Models makers of the Batman Miniatures Game have thrown their hat in the ring! Well, we have not rested on our laurels. Something new and very, very exciting is happening to our favourite game. We are delighted to announce the imminent arrival of the 2nd Edition Batman Miniature Game rules. This lavish rulebook will be the culmination of thousands of games, and feedback from our customers. But that’s not all – far from it! The launch of the new edition will be spearheaded by brand new miniatures, representing the pinnacle of our studio’s output. The new models will be produced in high-quality, coloured resin. Knight Models was founded on a love of display- quality models, and we think painters and modelers will agree that these new miniatures are the best we’ve ever produced. And if you’re a veteran Knight Models hobbyist, rest assured that every model from our current range will be 100% compatible with the new rules, and we’re working to ensure that your existing expansion books – such as the Arkham Knight Campaign Book – are still completely valid when the new edition hits the shelves. Keep your eyes on the Knight Models website and our social media channels for teasers and previews. There’s a lot to look forward to!